-Put a place marker on the matching picture. 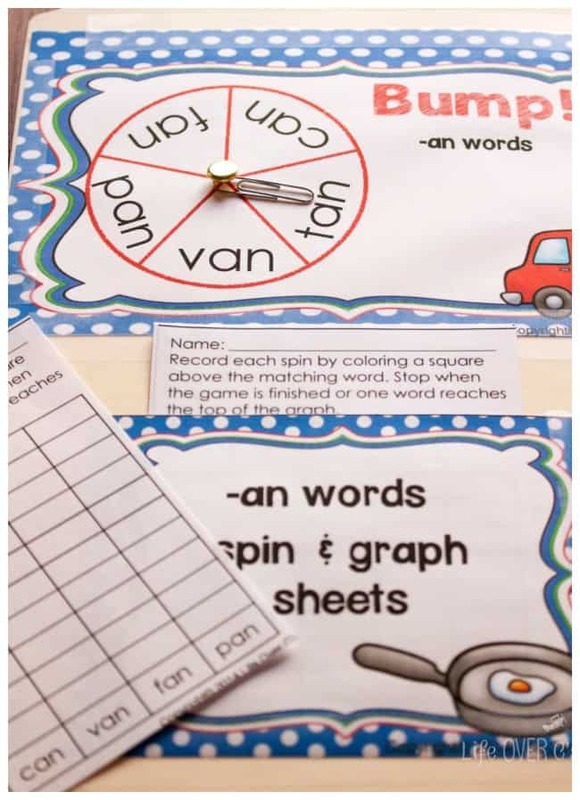 -If the other player has a place marker on that picture you can “Bump” them off and put your marker on. -If you already have a place marker on that picture, you can place a second place marker on top to freeze the number. Frozen pictures cannot be “Bumped”. 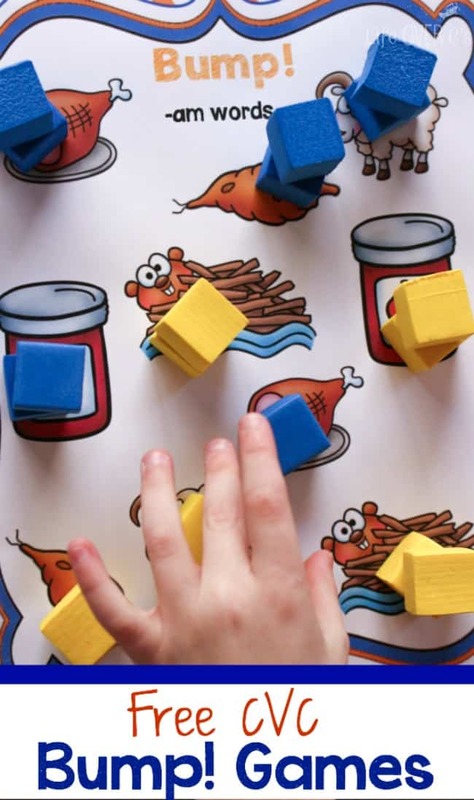 -The game ends when all the pictures have been frozen. -The winner is the player with the most pictures frozen. It sounds a little bit confusing at first, but after you play it the first time, I’m sure it will become a favorite like it is here! 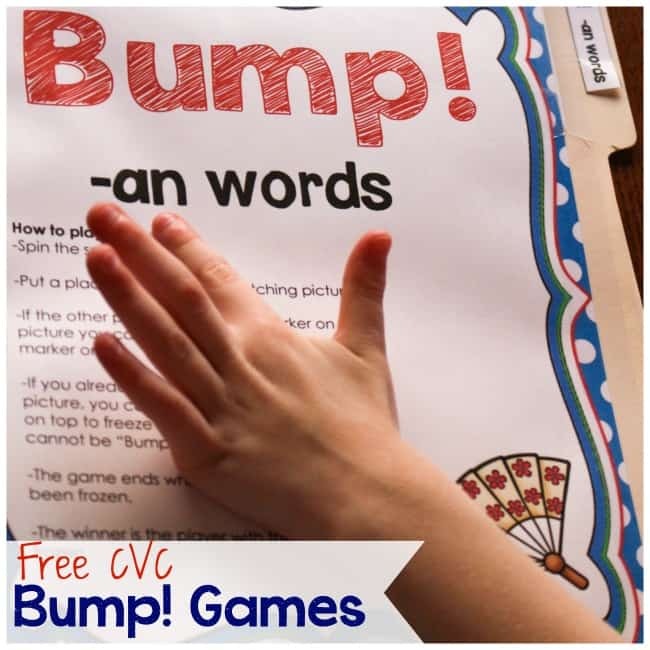 Download the FREE Printable CVC Game: Bump! here. 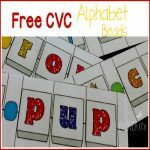 Get the full set of 20 CVC Bump! Games here. 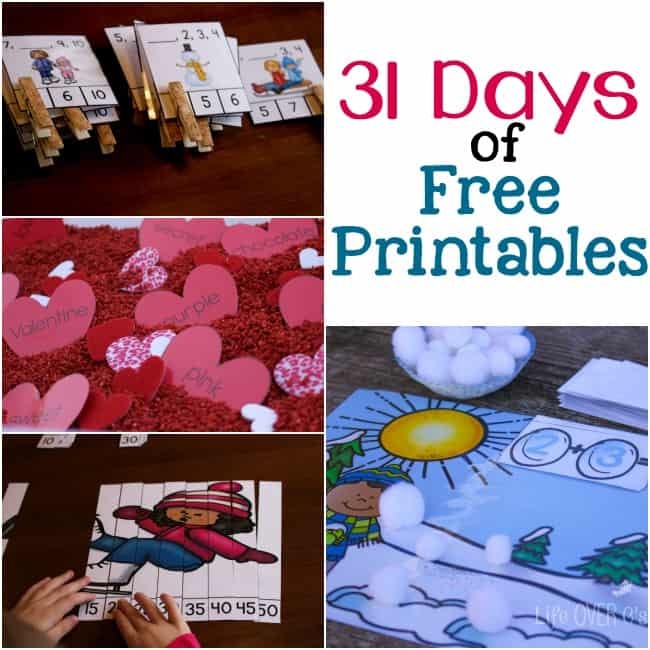 Be sure to check out all the other great activities in the 31 Days of Free Printables series! 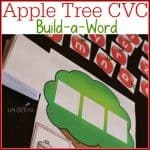 Here are some other fun CVC activities you might enjoy! Thank you so much for the game. My students will love it! 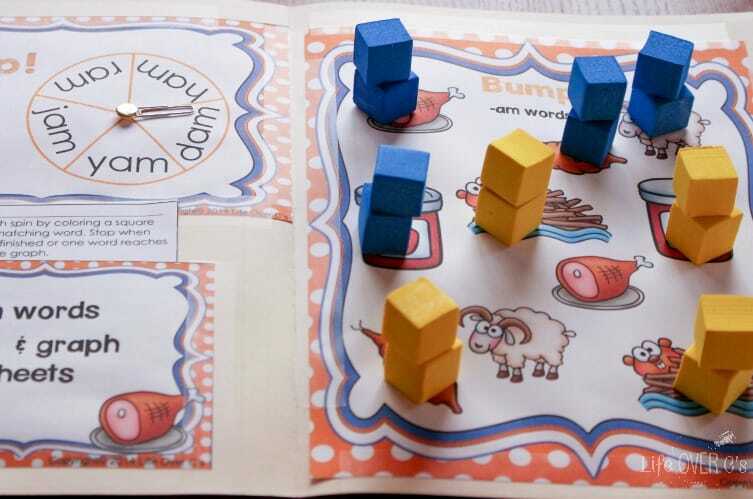 What a fun reading game! Thanks! 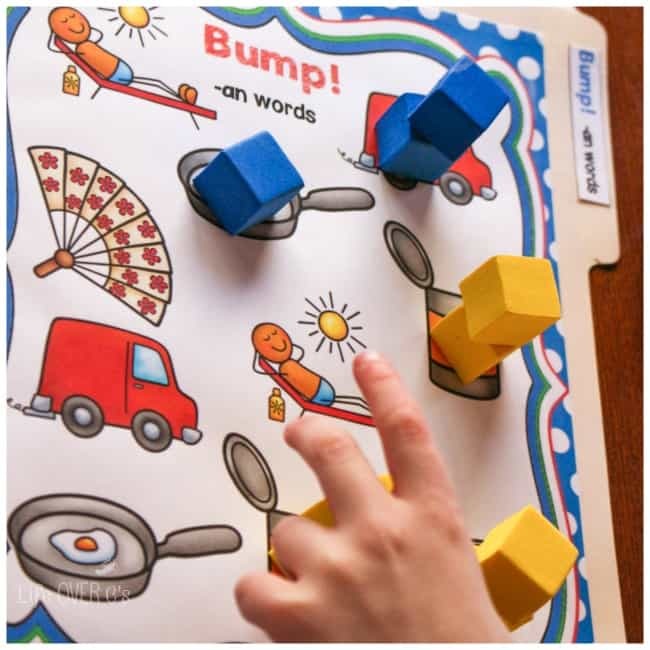 We have so much fun playing Bump!